Robert outside 城堡 Marmont on June 18,2013. . Wallpaper and background images in the Robert Pattinson & Kristen Stewart club. 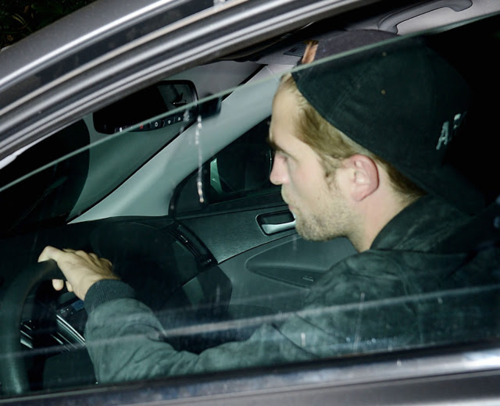 This Robert Pattinson & Kristen Stewart photo contains 汽车, 越野车, 卡车, and suv.